ACES is one of those concepts that is little known or understood outside a small group of post-production people and technologists, but hugely important to the future of the film and television industry. So important in fact that the Academy of Motion Pictures Arts and Science (AMPAS) agreed to the use of its famous statuette in its logo. Even though AMPAS spearheaded ACES it is still unprecedented for it to use the Oscar statue outside of awards context. The Academy Color Encoding System (ACES), explained in the most simple terms, is “the industry standard for managing color throughout the life cycle of a motion picture or television production.” So why should that matter? Because making movies and television shows is getting more complicated with the involvement of different digital cameras, post-production facilities around the world, visual effects shot of ever-greater complexity and a plethora of devices to watch it on, from your smartphone, through your OLED TV set all the way through to the Imax screen. ACES means that if the “Wizard of Oz” was shot today, Dorothy’s ruby shoes would always have the exact same colour as the director and cinematographer captured on set and tweaked in color grading. With the danger of proprietary standards from manufacturers coming to dominate how film and shows were produced, AMPAS (or the Academy) stepped in not just to “ensures a consistent color experience that preserves the filmmaker’s creative vision,” but also to enable restoration and preservation of films that will look in decades how they were first seen by audiences last century. So that Dorothy’s ruby shoes will always look the same. So while it is hard to get a typical film professional excited about ACES, never mind audiences, it is something that is important for us all. Fortunately ACES is getting major buy-in from creatives, vendors and service providers, as well as time and attention at international gatherings such as NAB and IBC. It was at NAB that we got an update on ACES 1.0, as well as some major breaking news from Universal, who are going all-in for ACES as the first Hollywood studio to do so. 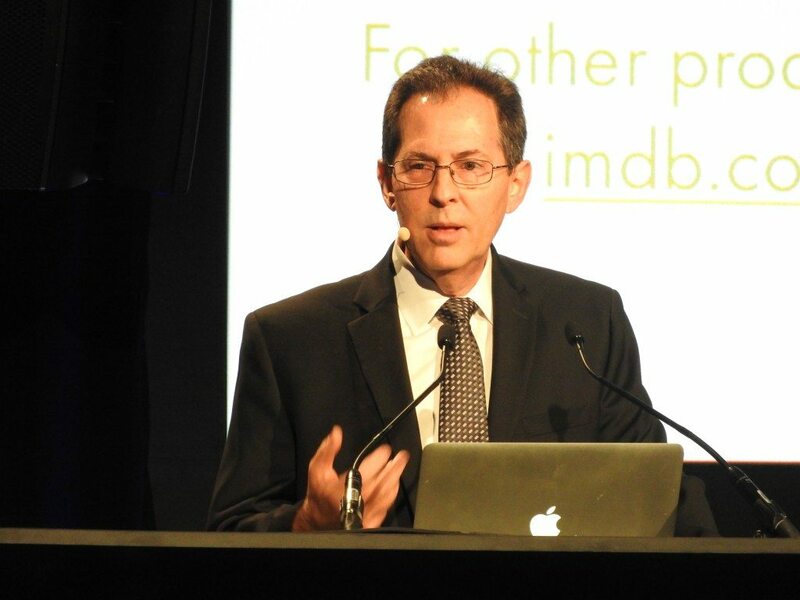 Andy Maltz, Managing Director of AMPAS’ Science and Technology Council (SciTech Council), began by giving an overview of ACES and where adoption was at with regards to ACES 1.0, which was launched at NAB last year. It consists of 17 specifications and tools, as well as a high dynamic range (HDR) ‘starter pack’, including ST 2084 Display Transform. There was also an announcement about the ACES Logo program and education and training initiatives. Since then 25 companies have signed up for the ACES logo program and all deployed ACES 1.0 components. Interestingly ACES is being used in places the Academy was not even aware of or had promoted it, such as last year’s South Indian monster hit “Bahubali” that employed an ACES workflow, having done their homework on how to utilise it completely on their own. You can find a partial list of ACES films on IMDB. Not just film but television productions such as “Deliverance Creek” also employ ACES. Special effects facilities like ILM have used it for films like “The Martian”, “Captain America: Civil War”, “Rogue One” and “Star Wars VIII”. On the gaming side it was employed in Epic’s Unreal Engine v4.8, for graphics in Nvidia GPU drivers and even in academia in coursework at Bayler and RIT. ACES has not only been a success in its first year but also required very few tweaks, with ACES 1.0.1 patch fixing typos and small bugs. The next version will be adding support for certain colonist styles and new “working space.” AMPAS has also launched a series of ACES Now! training videos. For the ACES Archiving Standard, the Academy is doing its part to solve the Digital Dilemma. For archiving purposes the idea is to use existing standards wherever possible, such as wrap ACES2065-4 images in MXF. All six Hollywood studios (whose films need preserving), as well as Dolby and other vendors have agreed. And next we heard from one of those studios. 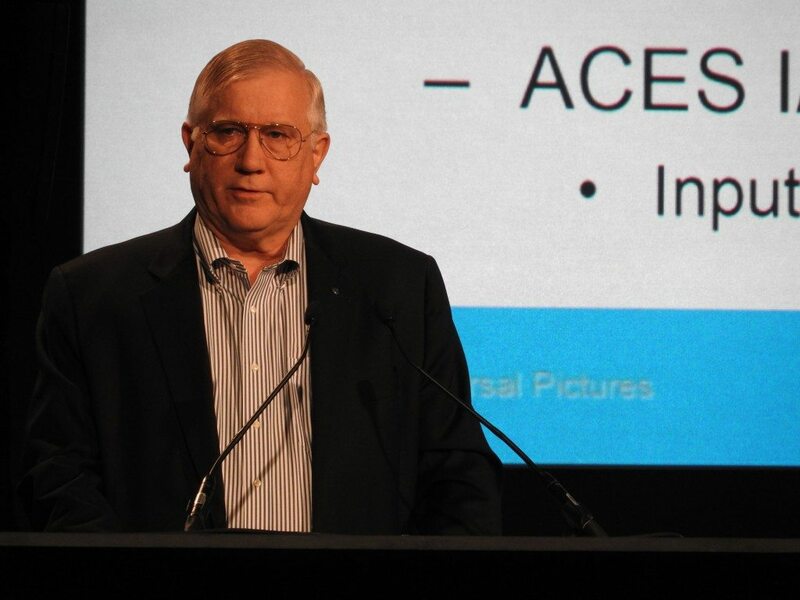 Wade Hanniball, SVP, D-Cinema Operations & Technology at Universal Pictures, opened his presentation by stating that “our hope is that ACES will be universally adopted, and that way Universal will adopt ACES.” He then went on to outline Universal’s aspirations and inspirations for ACES. This is why Universal has committed to have switched over completely to ACES by the first quarter of 2018. It is the first Hollywood studio to have given an outright commitment to ACES and a firm date. “The ACES Space is the Place,” Hanniball concluded. The third and last speaker was Chris Clark, Production Engineer, Original Content for Netflix, which he pointed out is both a streaming operation and a studio these days. Netflix is producing 600 hours of original content in 2016, which includes feature films, TV series, documentaries and comedy specials. Hundreds of different facilities are used for post-production. “We are a nimble company. We rely on our partners,” he said. But with such a global operation you need consistency. “Color does not need to change from facility to facility,” Clark stated. “Math does not need to change. We accomplish this by setting standards in the industry. Focus on display standards. That used to be the projector.” ACES for Netflix is the new negative. “What you see is ALL you get” or ‘WYSIAYG’, as Clark was almost able to pronounce. ACES is used on Netflix’s shows and it’s first films, such as “Ridiculous 6.” Clark joked that while the film was not recognized by Academy, to laughs from the audience, it was shot by Deam Semler, who won an Oscar for “Dances With Wolves”. The film used ACES, shot 4K RAW and also output in Dolby Vision. 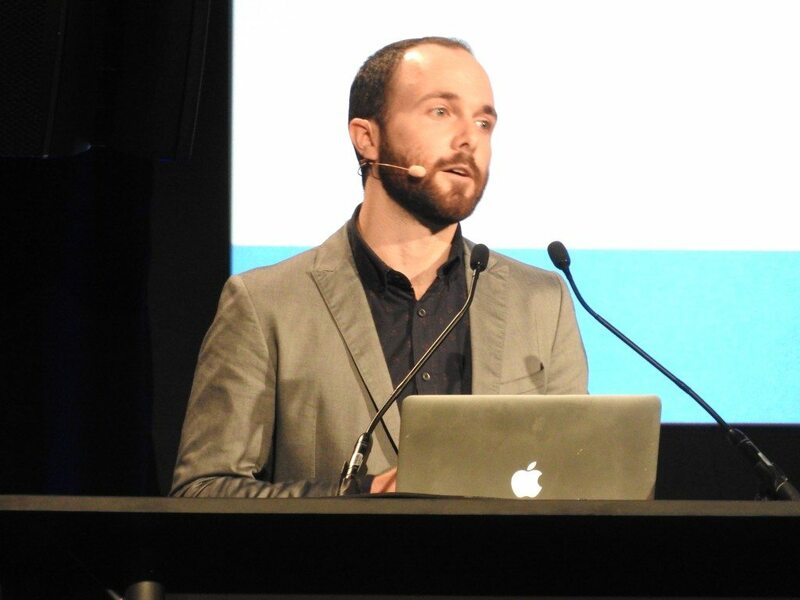 “Why we like ACES: Open source, Cross Platform, Future Proof. Archive the Negative, not just the Print,” Clark concluded. AMPAS might not have completely solved the Digital Dilemma with ACES, but it has gone a long way to address the issue, as well as given creatives, vendors, service providers and post-houses the best possible set of tools for preserving the artistic integrity and vision for every type of moving image. This is why you should know about ACES.